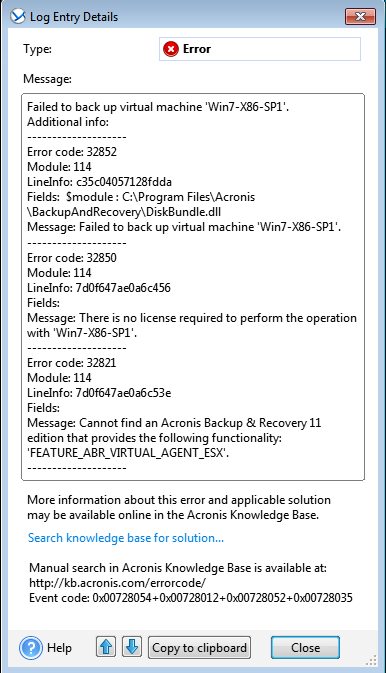 30164: Acronis Backup Advanced: "There is no license required to perform the operation with 'name'"
You need to assign a license to the Acronis Agent to be able to back up a virtual machine. 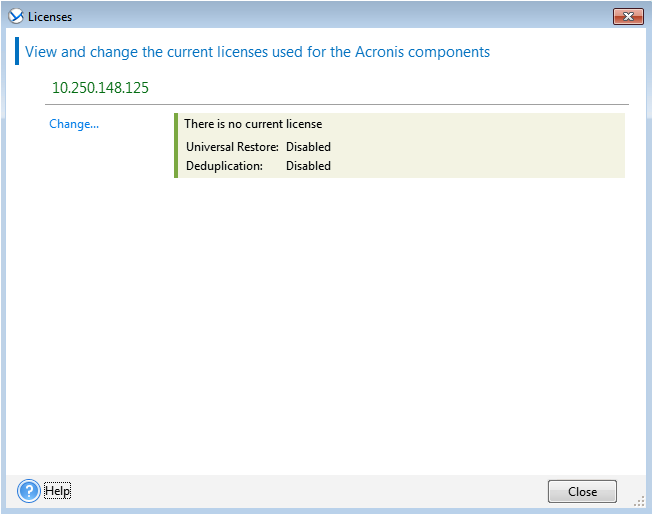 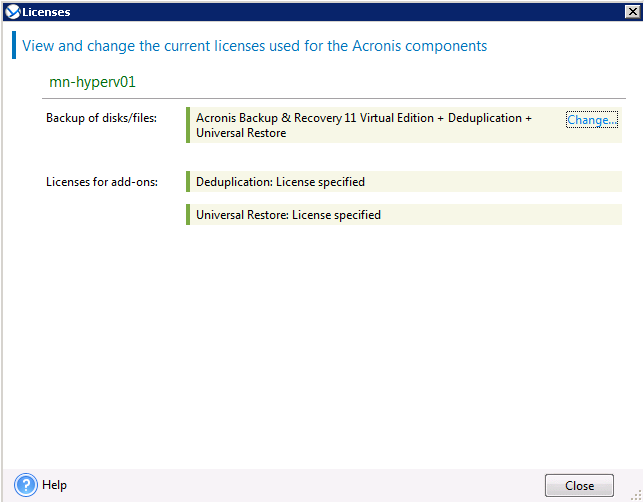 Make sure you have an Acronis Backup Advanced for VMware/Hyper-V (Acronis Backup & Recovery Virtual Edition) license. 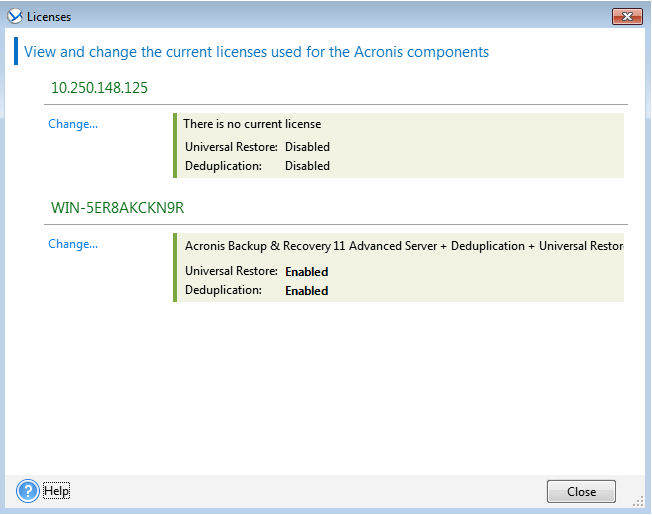 See also Acronis Backup: Product Comparison. 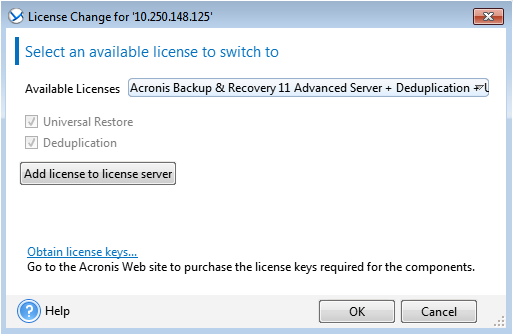 In a cluster environment, all cluster nodes should be licensed.